I have been very satisfied with all the products, thank goodness for the tape as this old mink is really falling apart. I am almost done with my project and was thinking about getting a cleaning kit. Learn how to use Lana's Dry Fur Therapy Solution for professional at home treatment of your dry fur. The instructions provided in this guide follow the basic steps you will need to know to rehydrate and restore your dry fur and make it fabulous again. qI need to treat the collar of a fur coat it is dry on the end of the wing collar. What do I do? 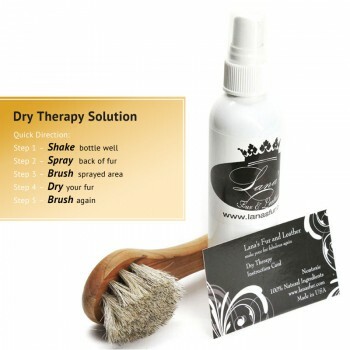 The best advice is to utilize Lana’s Dry Fur Therapy Solution (LS-FNL-010). 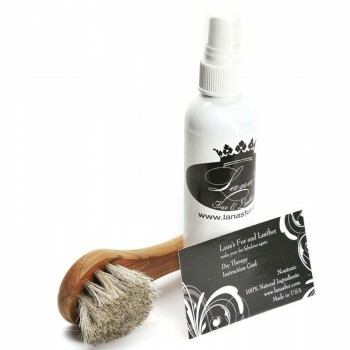 However, this product should only be used on the skin (leather) side of the fur coat. Most collars are basically doubled over the skin so that the fur is on both sides and then leather side is not easily accessible. 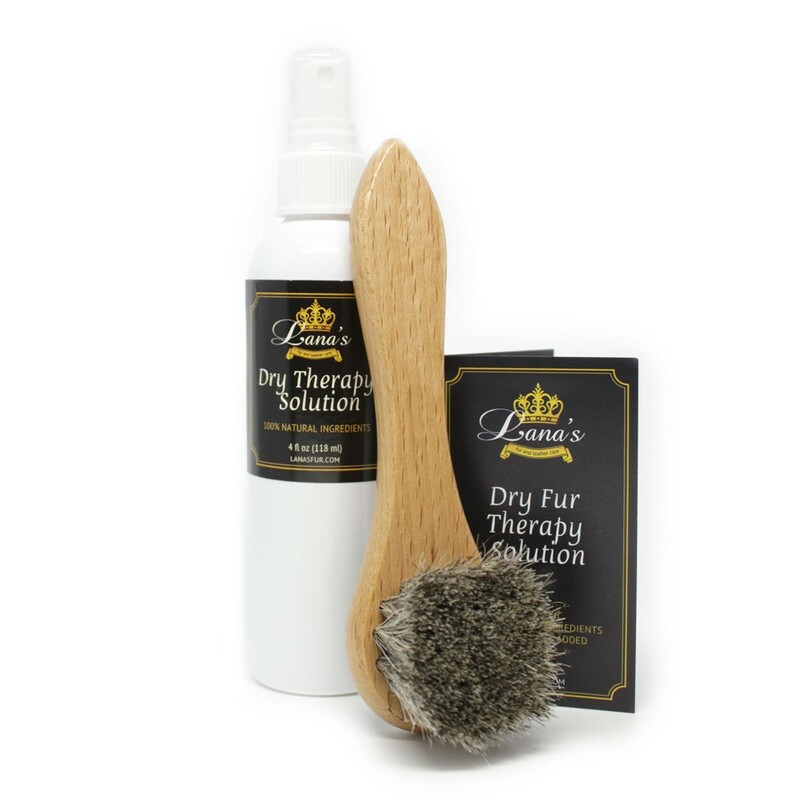 If you have any way to get inside of the collar and reach to the skin side, you can use our Dry Therapy Solution. 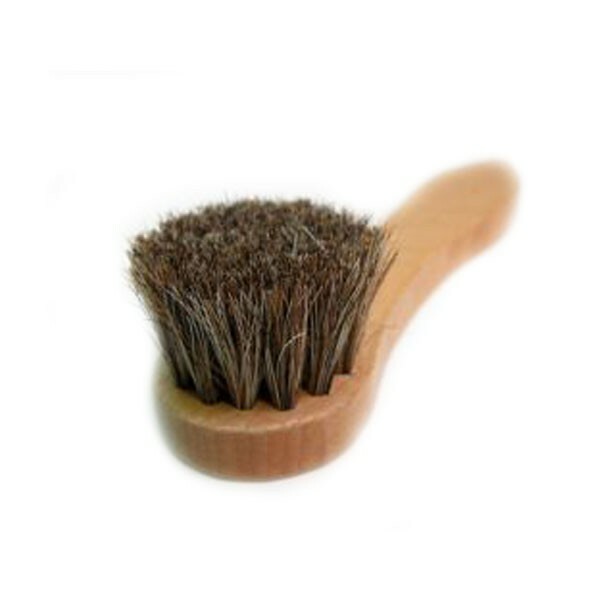 It helps prolonging the life of fur by strengthening the skin and the individual hair follicles that create the fur. 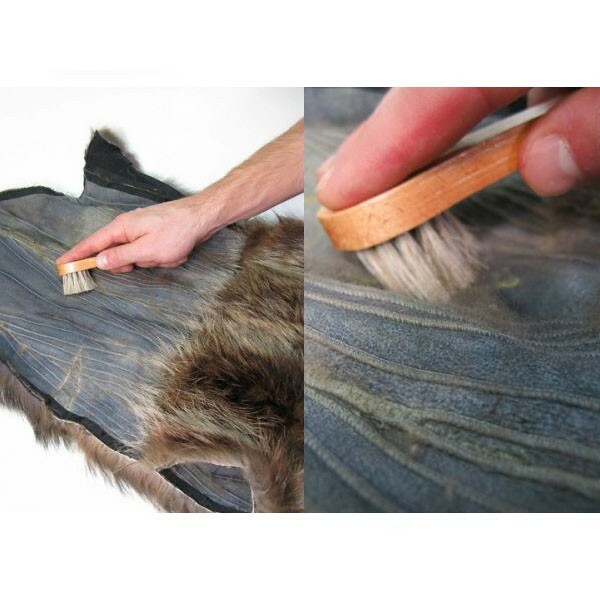 However, if you are unable to get to the leather inside of the collar, do not try to use this product on the fur side of the coat.